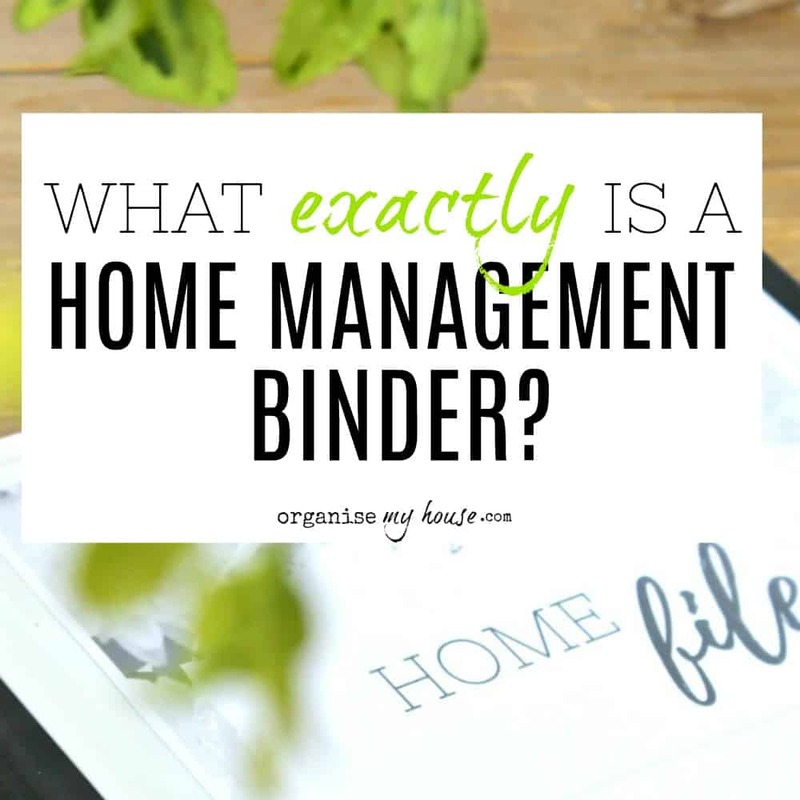 There’s a lot of talk about Home Management Binders at the moment, and if you (like I was a few years ago) are wondering what a Home Management Binder actually IS, then this is the place to be!. We’ll go through everything you need to know so you can decide if you need one in your own home. Let’s get started, shall we? In my home I call myself the house manager – I am the one who knows where everyone needs to be, what they need when they get there, and I pretty much run the house. Don’t get me wrong – my husband is great and always helps A LOT, but the main running of the house is my domain. This is how we like it and it works really well. After all – one main person in charge is the simplest way to do things! Make it as easy as possible for me to do this role without it taking FOREVER! I want to be sure that the house can run easily with or without me – for any reason – and so I started to think about my life in the corporate world for inspiration. My old job was in IT, and involved lots of procedures and information that I was in control of but others had to use as well (sound familiar!). The best way I found to keep my sanity was to create a binder that had everything in it so that I could simply direct someone to the binder when they needed to do something, and all the information was in there. It worked perfectly for the office, SO WHY NOT AT HOME AS WELL? This would be somewhere that anyone in the family could get information from quickly and easily – and would be the hub of the home basically. 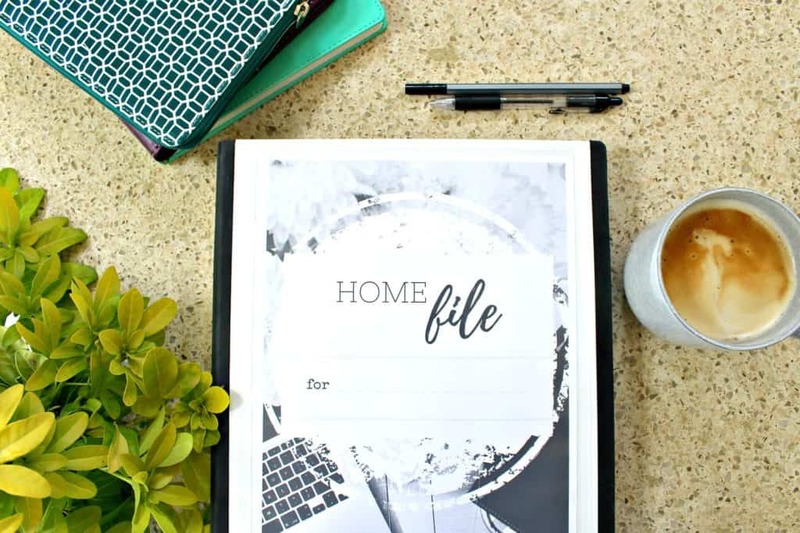 A file that holds all the information that you and your family need on a day to day basis to run the house smoothly, without having to trawl through piles of paperwork/filing etc.. to find the answer. It can be created in lots of different ways, and house many different things depending on your needs (we’ll go through the contents in a different post), but as I wanted quite specific things in mine, I decided to create one myself. – so you get to use it as well if you want to (bonus as it saves you time and effort!). Mine is called the “Home File”. Short and sweet! WHERE SHOULD A HOME MANAGEMENT BINDER BE KEPT? It should be kept in a place that’s easily accessible to the whole family – and can therefore be used by everyone when required. I find that in my mail, filing and paperwork area is best – keeps everything together! Most families have an area (usually in the kitchen) where paperwork and diaries etc.. collect – where we pile up the post, write notes to each other etc…. so even if you haven’t started to organise this area as yet, you will have a good idea where is best in your home to start creating your paperwork and admin zone – and that’s where it should live. WHAT DO I PUT IN A HOME MANAGEMENT BINDER? 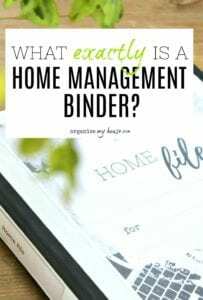 So, now know what a Home Management Binder is, you probably want to start creating one of your own. I know I was really keen to get started as I am a lover of organising / printables and more so this was a great fit! The next step is to decide what goes in one – and there is loads of help for you waiting in the next post so please CLICK HERE to go to the next post in this series. Do you like the idea of creating a Home Management Binder for your own house? Do you have one already? Please let me know in the comments below (or in the Facebook Group).